Here is my take on creating a Dividend Growth portfolio. This article was written by me for DivGro. Dividends are preferred by investors as they provide actual solid cash rewards for holding a particular stock. What is even more exciting is to see these dividends grow year on year. While it seems very easy, a lot of research is involved in selecting the stocks for creating a successful dividend growth portfolio. 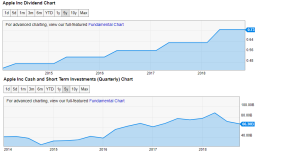 Dividend growth investing is both an art and a science and your portfolio needs a lot of patience and attention in order to grow. Here are the five most important factors to consider before selecting your dividend growth stocks. While selecting a company’s stock worthy of your portfolio, the primary factor that should be considered is its business. There are companies involved in the same businesses yet one is better than the other. Reasons could be a loyal customer base, an extensive product offering or a diversified geographic footprint. Businesses with strong competitive advantages or having a unique product offering are the best choices. For example, Procter & Gamble’s (PG) Gillette brand is one of the most well-known men’s grooming brands in the whole world. The brand is trusted worldwide for its safe and sophisticated range of shaving solutions for items of daily use. Procter & Gamble has raised its dividends for 62 years in a row and has paid them for nearly 130 years now. No matter how good a business is, it does not make sense to buy it, if there is not enough free cash flow generation because Cash is King! It is important to look for businesses generating ample cash flow because only free cash (after CapEx and Opex) can be used for dividend distribution. Maturing businesses who have already established themselves and do not require a lot of cash for recurring capital investment are good cash generators. Yet there is no room for complacency. Companies investing in new technology or looking for strategic alliances should be preferred. Apple (AAPL) for instance, is a great dividend growth stock. The company generates huge amounts of cash flow which have been increasing almost every year over the last decade. Even if Apple maintains its reasonable payout ratio of 28%, it could easily fund its dividend growth out of its ample cash generation. The company last raised its dividend by 16%. 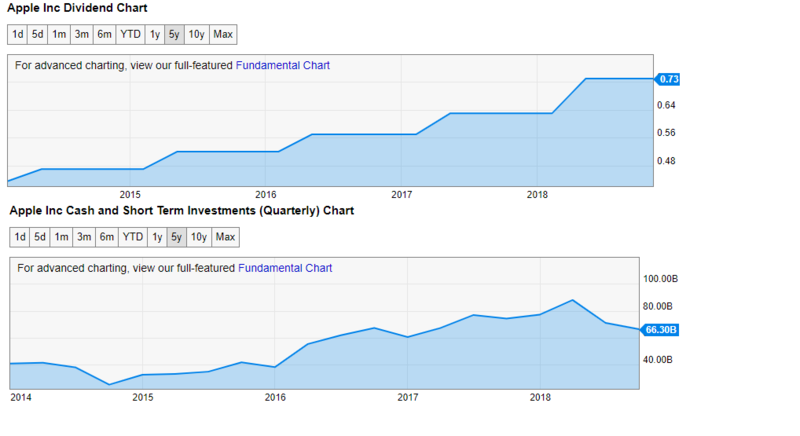 A company pays dividends out of its earnings and therefore, earnings growth and its consistency are important criteria to consider before investing in a dividend growth stock. A company having a reasonable payout ratio has enough room for future dividend growth. But a company having a higher payout ratio can even fund its dividend hikes from of its earnings growth. The ability of a company to grow its dividends depends on how fast the company grows or simply put, the faster a company grows the better will be its long-term returns. A company that consistently grows its earnings has a greater chance of raising its dividend steadily. It is important to take a good look at a company’s credit rating. A high credit rating by a reputed rating agency indicates that the company has a strong balance sheet that will position it to navigate tough times. A high credit rating also implies that the company is well capable of meeting its debt obligations. A company with a highly rated balance sheet enjoys easy access to external funding in tough times. It is generally a good practice to start building your portfolio by selecting the stocks that have a history of increasing their dividend payouts. A history of strong dividend growth most likely implies a hike in the future as well. However, care must be taken while analyzing the stocks based on their valuation. A few Dividend Kings are highly valued today. Dividend Kings are the companies that have raised their dividends for more than 50 straight years. These are the few important factors to consider before constructing your own dividend growth stock portfolio, though the weight on one factor could differ from investor to investor. For instance, one investor might be more interested in the fundamentals while another would like to emphasize on the technicals. But overall a portfolio should be a healthy combination of the above. Good luck in your research and dividend investing!